This part of the tutorial series covers the creation of custom applications in Kibana. An application is one possible component inside a plugin, which is a complete own part inside the Kibana platform that you can put whatever you want. 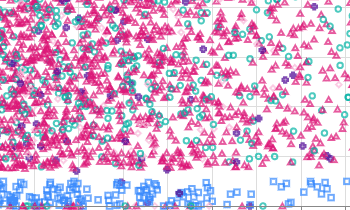 Kibana is just giving you a link to this part and you can design it whatever you feel like. One famous example of this is the timelion plugin by Elastic. In this tutorial we will build a very simple Elasticsearch status page application. It will just list all indices and clicking on one will bring you to a page with stats about that index. You can see the final result in the animation below. As you might have noticed, the Design of the Kibana above might look pretty uncommon to you (yet). This is the new UI of Kibana 5 that hasn’t been released yet. Everything shown in this tutorial also works on Kibana 4 and I will show up differences between the old and new design that are relevant for plugin development during the tutorial. Inside the require array we can list some other modules, that we use in our module. The common values are kibana and/or elasticsearch here. Specifying these will cause Kibana to always load us after these modules and make sure they are loaded successfully. We already specify the elasticsearch module here, since we will use it later in the tutorial to access data from elasticsearch. Inside the uiExports object you specify the app key which itself is again an object describing the app. The title key is the human readable name of this application. 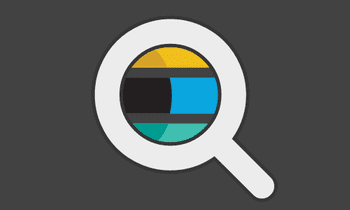 It is what is shown in the side bar in Kibana (or before Kibana 5 in the application menu below the icon). The description is a description of the application. This isn’t currently used anywhere. The icon key refers to an icon for this application. 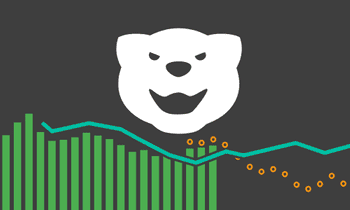 This will be shown beside the name in the side navigation (or before Kibana 5 in the application menu). It is again a string that will be resolved the same as mentioned above. There exist several other keys you can specify for your app, that has not been shown above. You can e.g. set hidden to true, if you don’t want the app to show up in the navigation (e.g. the Kibana status page is such an app). If you want to query Elasticsearch from your application the clean solution would be to give the Kibana server a new API. You call this API from your application and it will query Elasticsearch for you. So as described above our application would need to get a list of all indices and would need to retrieve the stats of a specific index. Let’s have a look at the second interface. That way you create a new GET API at the Kibana server. You could now call the /api/elasticsearch_status/index/<some index name here> interface (that doesn’t do anything yet). The handler method will get two parameter: the first is the request, that has been made. You can access a lot from the request here (e.g. using req.params.name you would get the name of the index that has been passed in the URL). The second parameter is the reply function. You must call this function and pass it the data that should be returned to the client, that calls this API. For a full documentation check out the official hapi documentation for the route method. This method returns a promise that will be resolved with the response from Elasticsearch. Inside the resolve function we will then just extract the data we need from the response (in our case the index stats) and return it (via the reply method). If you are developing for Kibana 5.2 onwards there are slight changes in the use of callWithRequest outlined in this blogpost. That way we have created our first Kibana server API, that is now ready to be called. If you watch into the source code on GitHub you will notice, that I extracted the API generation to another module and just called this method from inside the init method. I would recommend doing this to keep your code readable – if you have a lot of APIs you create, you might even want to use more than one module for it. The second server API (for getting a list of all indices) can be found in the source code. I won’t go into detail inside this blog post, since we already covered all topics, you could write it yourself. Last but not least we should create the actual frontend for our application. We’ve registered earlier a specific app.js inside our index.js as the main file. Now its time to create it and fill it with some content. The first line is important if you use Kibana 5 and you should always have it in an application plugin. 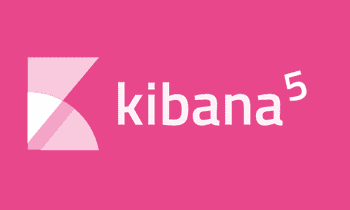 It will cause Kibana to load all the styles it usually has. If you don’t import (or require if you prefer ES5 syntax) this module, the Kibana frame around your application will look broken when the user enters your application. If you use Kibana 4 this file doesn’t exist and you cannot import it (which brings us back to the huge warning in the first post, about the lack of a stable public API). The second line is optional and shows how to insert own LESS styles for your application. You just import your LESS file. You could also use SASS instead. I recommend using relative paths for those files that are also in your public folder, so you don’t need to repeat your plugin id over and over again. The call to uiRoutes.enable() is mandatory if you need to use routing. After that you can use when and otherwise calls like you are used from $routeProvider. In this case we want to configure two routes: one for the base path and one for the path /index/:name which name being the placeholder for an index name. The templates for both routes can be set by using an import statement above to the actual html files (which are placed in the templates folder in our case). We also use two controllers, which we haven’t written yet. The uiModules is a central service in Kibana taking care of all the Angular modules in the application. If we want to get or create one, use its get method. The first parameter is the name of the module we want to get or create. The service will take care of either returning the module if it already exists or creating it if it doesn’t. The second parameter can be an array of modules, our module depend on. If the module already exists, these will be added to the dependency list of the module before its returned. It the modules doesn’t exist it will just add them to the newly created module. As you see this behaviour is different from the angular.module method, where you create a module when you specify dependencies and get one when you don’t pass a second parameter. Using this service Kibana also takes care about loading our Angular module. The controller itself above just uses the $http service to get the list of indices from our interface and store it at the controller. The HTML is kept pretty simple in our tutorial. We just use ng-repeat to iterate over all the indices, that we retrieved from the API and link to them. Also we use some of the Bootstrap’s CSS classes to style our content. The HTML for the detail page can be found in the source code on GitHub. There are some more methods to create tabs, etc. But when you developing an application component keep in mind, that those things are gone in Kibana 5 (as of today) and your application might not be usable anymore because you are lacking a tab navigation that you relied on. With this pretty simple app component we’ve covered a lot of the APIs you require to build your own awesome app component plugin. So now it’s up to you to build the next timelion.